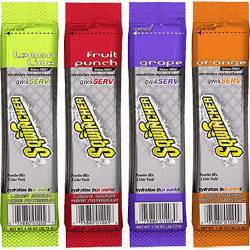 Sqwincher QwikServ Single Serve Electrolyte Drink is a qwick way to get the electrolytes needed while on the job. Each serving comes in a 1.26 oz. size and can be kept in your pocket or pocketbook when the need arises. Each QwikServ pack yields a 16.9 oz. serving and comes in a case of 96 packs.